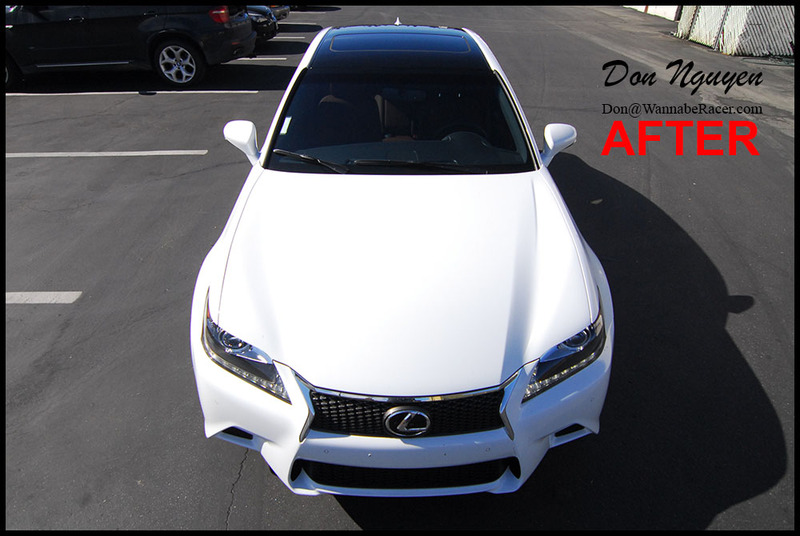 The owner of this brand new white 4th gen Lexus GS350 sedan had me wrap the roof of his car with my gloss black vinyl material to give it the black roof panoramic look. 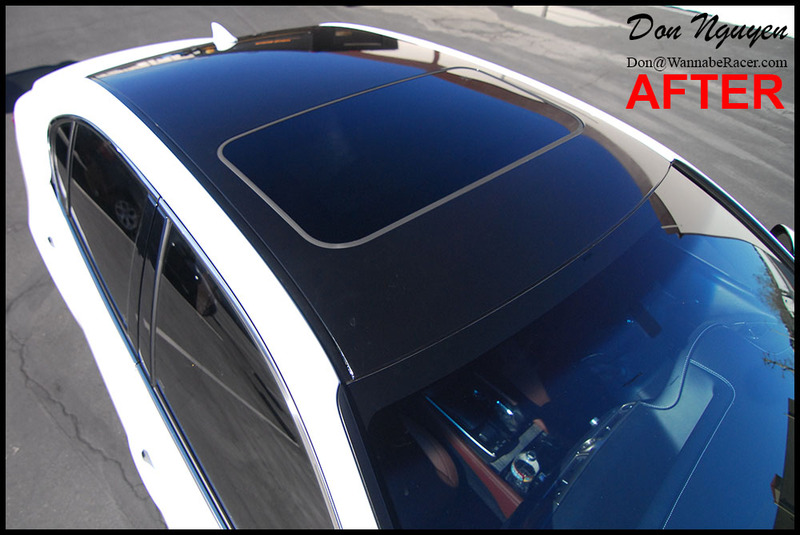 Even though the rest of the car was still stock, the gloss black roof still added a nice look/change to the car, without making it look out of place of aftermarket. My only other suggestion for this car would have been to also black out the chrome window trim and possibly front grill as well in the same gloss black vinyl material to give it a sportier look. 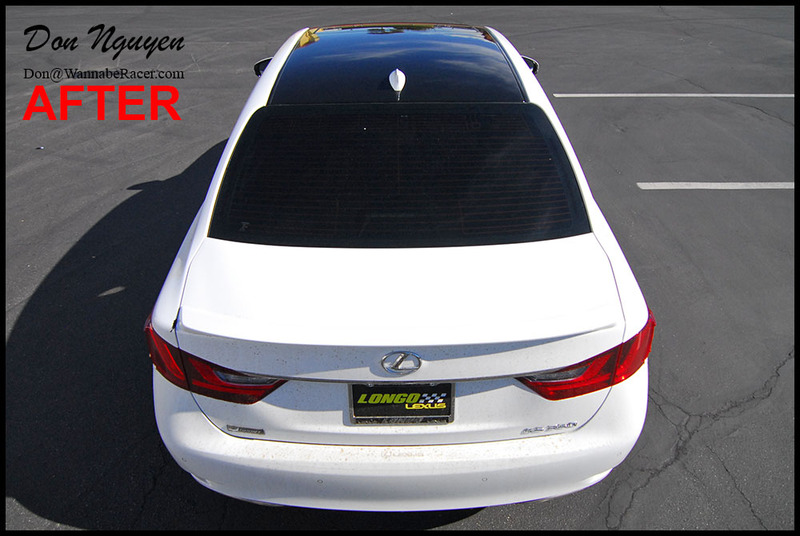 The owner of this car came out to me in Anaheim Hills/Orange County to get the car vinyl wrap work done.